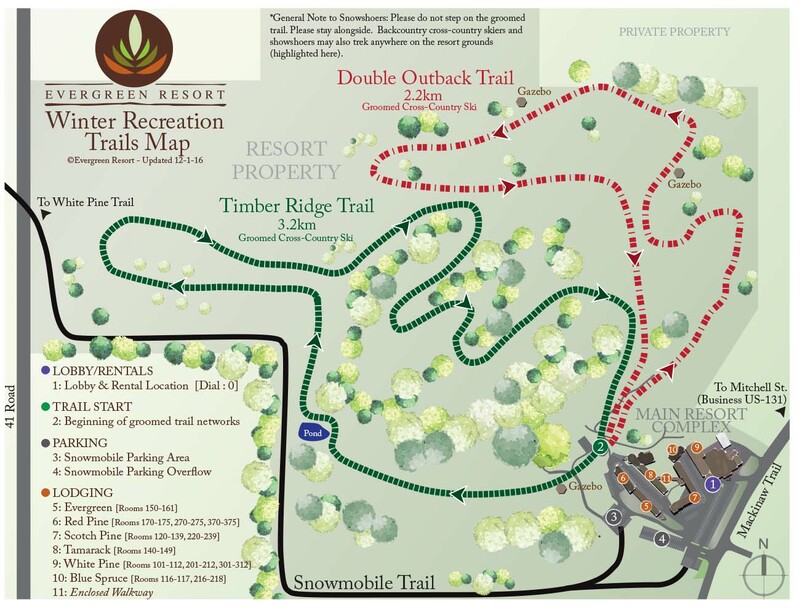 Getting there: Located one mile south of Cadillac, Michigan, Evergreen Resort is just outside the city limits on Mackinaw Trail, right off the US-131 Business Route. What's there: There's a ski shop with ski and snowshoe rentals, lodging, and dining. Experience a true Nordic skiing adventure on our glacier-sculpted hills.